Another heatwave inspired me to try a new combination in my ice cream maker. 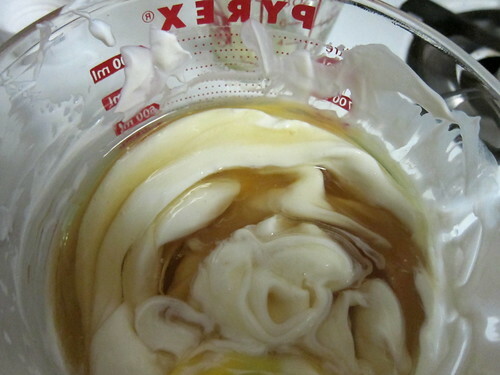 I knew I wanted to use the Fage + honey combination as the base since I knew that had the right creamy sweetness. I also knew I wanted to use ginger. Truth is, I’m always looking for a way to use ginger. Somewhere along the way I thought of Mango and that just seemed right. 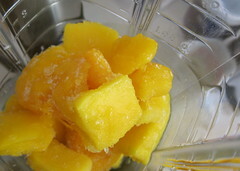 So I got some chunks of mango, added crystallized ginger, lime juice and pureed the heck out of it. I mixed it all together let it set for 45 minutes. 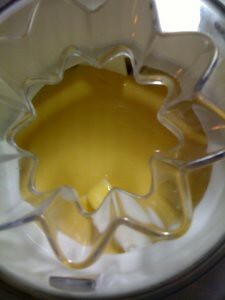 And in about 45 minutes and multiple tastings later we’ve got some mango-y ginger goodness. Hubby really liked it just straight. I thought it was pretty good, but needed a little more umph. 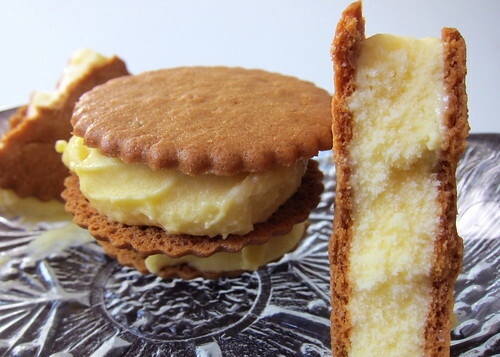 I had TJ’s Ginger Thins on hand and put a little scoop (about 2 tablespoons) between a few and set them in the freezer. And that did the trick by adding some extra ginger kick. 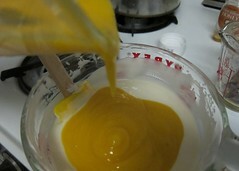 Puree first 3 ingredients in blender. 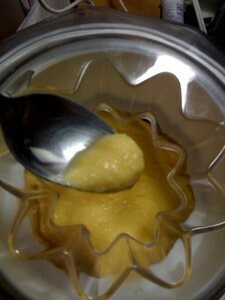 Mix honey and yogurt together in medium sized bowl until well combined. 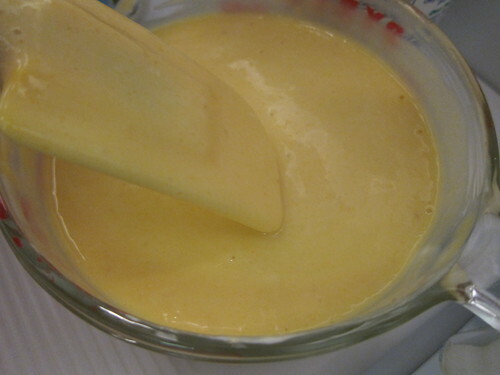 Stir in mango puree and chill for about 45 minutes so flavors meld. 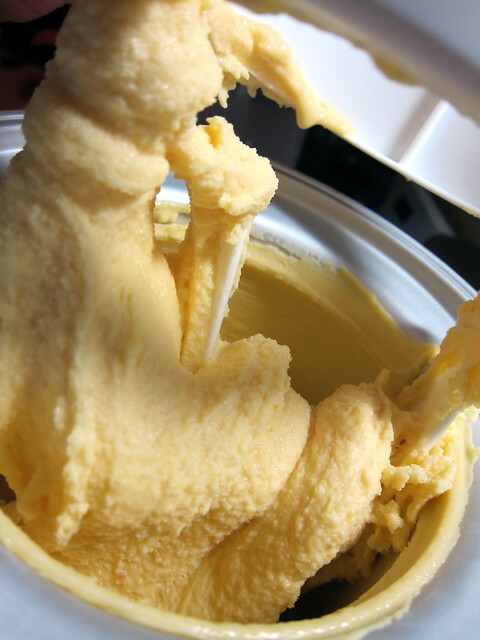 Pour into ice cream maker and freeze according to machine’s directions. 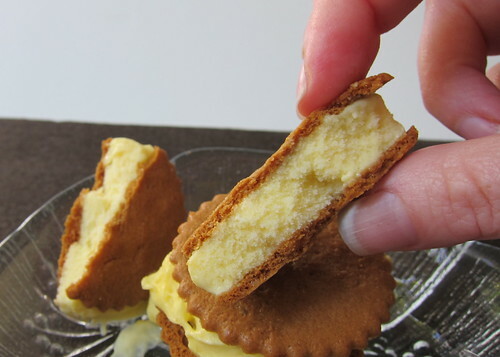 Place about two tablespoons of frozen yogurt between Ginger Thins and freeze until firm.